In the current technological era, the quest for the “perfect professional PC” involves selecting a device with many different features: maximum mobility; light and thin; built using premium materials; full-day battery life; good CPU performance; high resolution screen; fully wireless connectivity to the internet and other devices; easy integration into IT departments and with the required security for a corporate environment. Clearly, the type of machine that can fulfill all of the above in this era of mobile devices is the laptop. Although choosing the ideal model for a company or for professional use is not straightforward. You must take into account multiple aspects starting with the device case format. It can be a more traditional solution or one of the new hybrid models like convertibles or 2-in-1. However, there are a number of features common to all of them that we are going to review in this article, we hope you’ll find it useful when you consider renewing your current equipment. An update that should not be delayed at the point of keeping PCs that become obsolete. It is well known that this can have a drastic impact on productivity, which may translate to an increase in costs more significant than the acquisition of new equipment, due to higher repair and maintenance prices. It is likely that the first aspect to be valued when looking for the ideal laptop is the case design that best fits our needs. 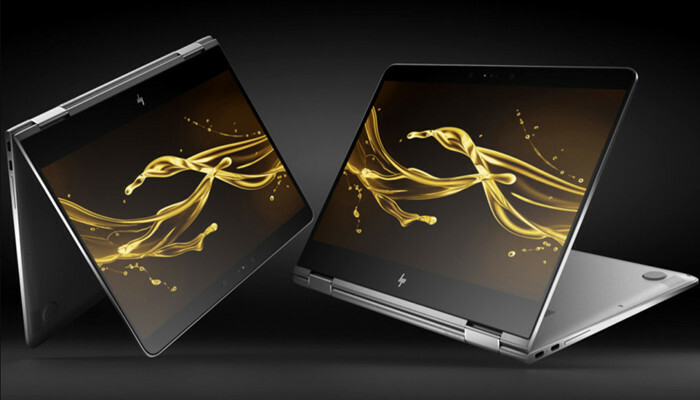 Premium and convertible notebooks are the most attractive options in the current world of portable computers and one of the fastest growing in the PC industry. Especially remarkable are the “2-in-1” devices, which offer among other benefits the possibility to use it like a tablet or as conventional laptop. The current trend in design is to offer thinner and lighter devices. The use of premium materials such as aluminum, magnesium or carbon fiber help to reduce weight while improving resistance. Professional machines like the Elite family from HP are able to withstand stress tests with strong hits, vibrations, dust and temperatures to meet the MIL-STD 810G standard. Nowadays in the market you can find devices presenting passive cooling (without fans), thanks to the size reduction, decrease of the chips power consumption and new storage formats. If you are concerned about noise and power consumption, this is a group to consider. In addition to the excellent mobility, this type of models also offers all day battery-life without having to rely on extra batteries. The dream of a professional spending a lot of time on the road, who will value this feature above others. This is achieved thanks to the reduction of the components power consumption, an improvement of the energy management and the increase of batteries capacity and efficiency. The screen size is another property to evaluate carefully. 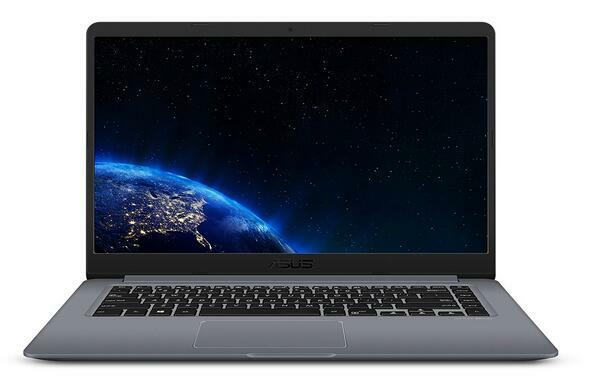 We can choose between 12-inch ultrabooks or powerful mobile workstations going up to 17-inch. The 12 and 13-inch models will offer the best mobility while the highest display sizes will help to improve productivity. A well balanced size, very successful in the professional market, are the ones with 14-inch screens. Regarding the resolution, in the premium range the minimum will be Full-HD (1920 x 1080 pixels) with high-end models going up to 4K, while for basic laptops we can find resolutions with HD displays. 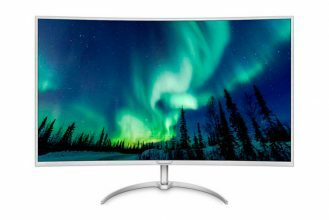 Native resolution enhancement is another rising trend, with the most advanced models offering Ultra High Definition with native resolutions close to 4K (3840 x 2160 pixels). Another property to consider are the screens bezels. Go for the narrowest if you want a big display without affecting the overall machine size. The 7th generation of Intel Core Processors (Kaby Lake) is the reference platform in the notebook marketplace and the best option for your new machine, due to its improved computing and graphics performance presenting the highest level of energy efficiency of Intel’s history. They are commercialized in the well known submodels Core i3, Core i5 and Core i7, together with the Celeron and Pentium families which are designed for entry level machines. In the Core family there are available the models variants with Intel Core vPro technology, with features embedded into the hardware for business computing, which include additional hardware security and management capabilities. The new version of the memory standard, DDR4, focused on mobile devices (from smartphones to powerful laptops) is the main memory type you will find installed in the best equipment you can find nowadays. Among its improvements stands out the ratio of I/O operations they are capable of, up to 4266 MT/s, double the one of latest DDR3 versions. The standard includes a completely new architecture consisting on a two channels matrix of 16-bits versus the simple channel found on DDR3. This reduces the distance that the data must travel from the memory array to the I/O terminal areas, increasing the throughput, as well as reducing the power required to transmit the same amount of data. The working voltage has also been reduced to 1.1 volts. In addition, the standard was specifically designed to obtain an efficient power operation over a wide range of frequencies. In terms of installed capacity, the minimum is 4 GB which is found in most basic laptops, the recommended is 8 GB and that is found in the initial configuration of premium models, going up to 16 or 32 GB for mobile workstations. Solid state drives are the big standard in mobile storage and they must be chosen by the professional looking for the best performance. They are based on NAND flash memories and with the absence of mechanical parts, they provide great advantages in power consumption and reduction of vibrations, noise and heat emission. They offer a performance far superior to conventional hard disks in terms of the speed to start the Operating System, applications, restarts from standby or hibernation modes and data transfer. While most of the installed SSDs correspond to the classic 2.5-inch format, the most advanced computers will use PCIe SSDs, the fastest drives available for consumer storage. They use the native PCI-e interface to boost their performance up to a theoretical maximum that goes up to five times the one of SSDs connected to a SATA port. In addition the device formats like the small M.2 allow to develop thinner and lighter equipment. Of course, hard drives are still available and for very good prices, presenting a huge reliability and bigger storage capacity than SSDs. Wireless connectivity for Internet access is a key feature for a professional who is usually on-the-go and therefore cannot be connected to wired Ethernet networks. The AC technology (IEEE 802.11ac) is the latest version of the WiFi standard and it will be present on all mobile computers next year. It is compatible with earlier versions of the standard and operates in the 5 GHz band, a zone of the radio spectrum with much less traffic than the overcrowded 2.4 GHz band. Its main feature compared to earlier versions of the Wifi standard is a significant improvement on transfer speeds, up to 3 times the one of WiFi n, reaching a theoretical maximum of up to 1.3 Gbps using three independent transfers at 433 Mbps. At the professional level, since wireless Wi-Fi networks are not always available, the possibility to connect to mobile broadbands can guarantee Internet access anywhere. Thus, this is a property to be considered when purchasing new equipment. Regarding the output ports for the interconnection with different equipment and devices, the third generation of Intel’s I/O technology based on silicon photonics using optical communication, Thunderbolt 3, provides a great transfer speed and low power consumption. Another port to be considered is the USB Type-C, a new type of connector for peripherals and Universal Serial Bus devices approved by the USB Implementers Forum, the group responsible for the development of USB. Besides to try to universalize connectors and reduce its size, USB Type-C offers some other advantages like being symmetrical and therefore allowing reversible plug orientation. Being complemented with the USB 3.1 standard, it can offer a very fast transfer speed of up to 10 Gbps. Also, type-C USB is designed to be future-proof, meaning the design will be used for every future and faster USB version. We mention finally Intel’s commitment for improvements in two promising technologies, Wireless Docking and WiDi Pro. They are meant to eliminate in the future any kind of wiring for mobile devices. The first one allows the wireless connection with monitors and USB peripherals at Gigabit speeds. The second technology is the improvement of the Intel Pro Wireless Display specification, that allows wireless content sharing with resolutions up to 4K through the Intel WiDi standard. Security is one of the top priorities when choosing IT equipment for business. Latest concerns about cyber-attacks are pushing for new ways of authentication to identify user on access to equipment or Internet services, especially those related with online banking or e-commerce. The improvements in this area come on a regular basis in premium notebooks, especially those focused on the professional market. The new work trends based on big collaborations and requiring mobility to improve productivity are a real challenge for IT managers in ensuring that all the devices remain secure. This is where professional equipment like the HP Elite presents an advantage. More secure and easier to manage than previous generations, they are designed to make things easier for IT professionals in charge of managing and securing the company’s fleet of equipment. They allow for devices, identities and data protection with technologies such as the HP Client Security Software Suite, an enhanced BIOS level protection with the third-generation of HP Sure Start and HP BIOSphere, HP Touchpoint Manager or TPM certificates. These functions are added to other ones as the fingerprint sensor, TPM modules, SmartCards and vPro variants of Intel processors that offer native hardware security in important areas. All these levels of protections are very important, specially taking into account that the theft and loss of mobile equipment are a worldwide reality. Windows 10 is the current reference and the most frequent OS pre-installed in new equipment. It is under permanent development and it was just released the new version Creators Update, which rather than an update is actually a new version, due to the big amount of changes it offers. 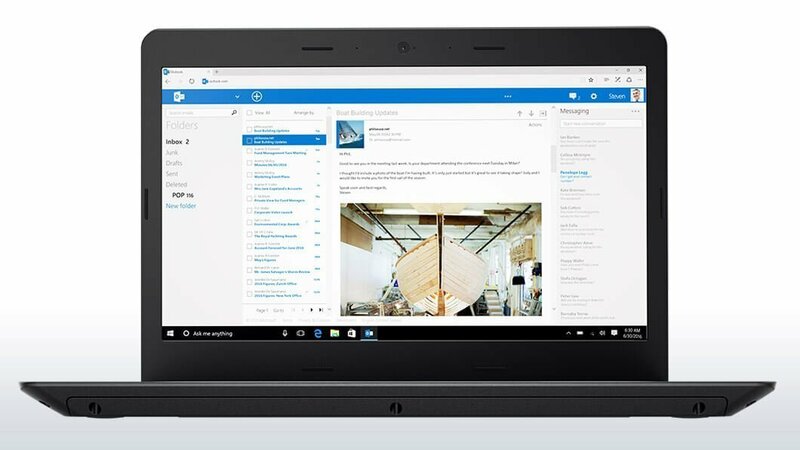 Improvements which involve the user interface, the system configuration tool, the Edge web browser, the native Windows Defender security solution, the privacy options, the development of 3D creativity tools, the Cortana assistant, the Windows Update tool, the support for VR devices and security improvements with a bigger control over VPNs or Windows Hello. For all of these reasons, it is the recommended system to use in the ideal laptop for companies and professionals. Priced at $930 when bought new and $530 if it is a refurbished model, this VivoBook has a premium appeal in terms of design and performance. Asus has really out-done itself with space grey finish, NanoEdge WideView display and most importantly their build quality. It is made for professionals, by professionals. The CPU is from Intel’s 7th generation line-up, which is an i7-7500U clocked at 2.70 GHz which can turbo up to 3.5 GHz. This processor has 2-core/4-threads with 4MB of L3 cache and offers an extremely good performance for both single and multi-threaded workloads at a very reasonable power consumption. To compliment this CPU we have 8GB of DDR4 RAM as main memory. Which is a pretty standard option for running multiple applications. You can work on your project with multiple browsing tabs and other applications wide open. This amount of RAM is enough to fit it all. The storage is where you will suffer the greatest bottleneck since it is a 1 TB hard disk drive and not an SSD. The build has a premium dull grey finish on a full-metal chassis, with sleek bezels. It is only 0.8 inches thick and weighs 3.7 pounds. You can carry this to conference meetings, seminars and then back to your office and it will have your back for any and all kind of office workloads. The display is a standard 15 inch 1920 by 1080 panel with IPS display and stunning color accuracy. To enhance the graphics performance an Nvidia 940MX with 2GB of VRAM so it can also be used for light-weight gaming. The connectivity options include 1 USB 3.1 type-C port, 1 USB 3.0 port, 2 USB 2.0, an HDMI and an audio combo jack. For wireless you get 802.11 ac. Dell’s business flagship offers a very budget oriented laptop for your office and business use-cases. Priced at $445 this model offers one of the finest price to performance with a build that you would adore even if you have no work at the office. The CPU inside is an i3-7100U from Intel’s 7th generation line-up. It is a 2-core/4-threads part clocked at 2.40 GHz with 3M of L3 cache. This along with the standard 8GB of RAM will offer quite a decent single core performance for workloads ranging from word processing to running a large number of browser tabs and applications simultaneously. All of this can be accommodated in that 8GB of RAM quite easily. The places where you will find it lacking are the ones that require multi-core performance such as running virtual machines or video rendering. A fine addition to this build is a 120GB of SSD which offers fast IOPs and lifts the entire user-experience to the next level. Your programs will boot up instantaneously and the boot times will be significantly reduced as compared to an HDD. The one disappointing detail about this device is going to be its display which is a 15 inch panel with 1366 by 768 resolution display. The laptop chassis is made from durable plastic and has a dull black finish to it. It has a professional touch to it and can be used for presentations and conferences without distracting people with unnecessary flamboyancy. 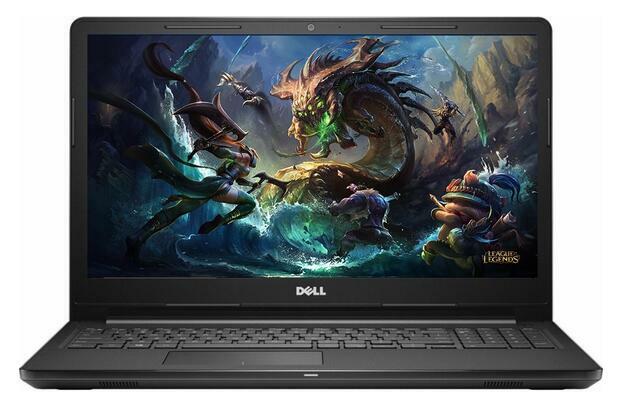 The graphics capabilities are powered by the 7th gen intel integrated graphics and Dell’s Truelife HD technology. The battery life is about 8 hours for a full charge (on average) and the laptop weighs 4.6 pounds this is can be a little bulky if you move about quite a bit, but considering the price point Dell either would have gone with a low performing Core-M chipset which would have been much lighter but performed poorly. Naturally this model is more focused on offering better performance over better portability and offers a wide range of connectivity options including 802.11 n Wi-Fi, RJ-45 port for Ethernet, an HDMI port, 2 USB 2.0 port a USB 3.0 port and SD card slot along with Bluetooth 4.0. 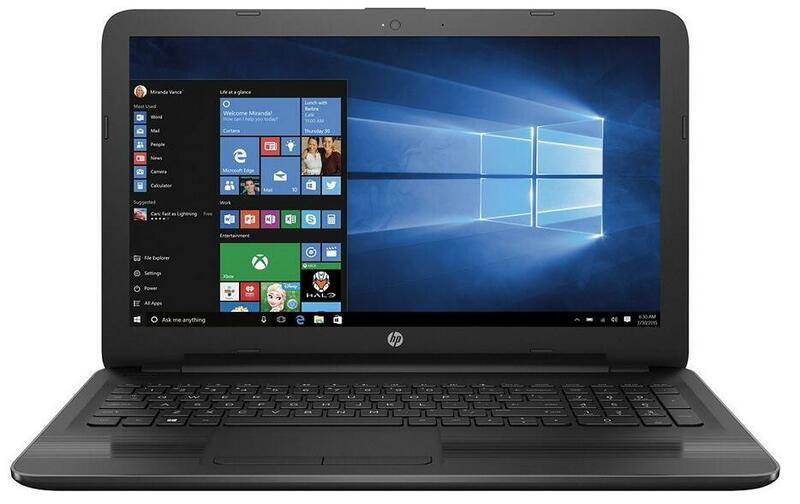 HP tries to beat the cheapest possible laptop for home/office use with a complete AMD architecture which offers performance on a budget of mere $315. Good news for people with multi-core workloads is this – It has a quad-core CPU with integrated radeon graphics. Let’s have a look. The CPU inside is an AMD Quad-Core A6-7310 APU clocked at 2 GHz, up to 2.4 GHz with 2 MB of cache. Of course, being an APU it also includes Radeon R4 graphics and the memory includes 4GB of DDR3L SDRAM. For the price point, HP has really tried their best to cram in as much resources into it as they can. However, there’s only a very limited office use-cases where such a budget laptop can come in handy. First and foremost are the interns who are looking for a budget device to just get started with their career. It will stream media, store necessary files and do the basic stuff just fine for the price that you pay. Second would be developers who are still working on entry level light-weight programs and need to test their apps on AMD’s CPU and GPU platform without buying the latest and the greatest. The storage is provided by a 500 GB HDD which is good enough for office uses and media storage. The laptop chassis is not all that different from the Dell Flagship seen above. It is made from hard plastic and has dull black finish on it. The inside of the laptop, around the keyboard and touchpad, there is a fine hair-line finish which offers a smooth surface for your wrists to rest upon. The display is 1366 by 768 and spans out 15.6 inches. The laptop weighs 4.74 pounds has a full numeric keyboard and is about an inch thick. The average battery life on a full charge is about 5.5 hours. The connectivity options include Wi-Fi 802.11 bgn, RJ-45 Ethernet port, HDMI, 2 USB 2.0 and a USB 3.0 port. Now let’s turn our attention towards something much more premium and reputed. The Lenovo ThinkPad line-up always has always been held in high-esteem amongst professionals. A robust, ergonomic design with high performance and elegant design all rolled up into one beautiful laptop making it well worth the $899 price tag. The CPU inside is an i5-7500U from Intel’s 7th gen line-up of processors clocked at 2.70 GHz which can turbo up to 3.5 GHz. This processor has 2-core/4-threads with 4MB of L3 cache and offers an extremely good performance for both single and multi-threaded workloads with a very power efficient architecture. Along with this beefy CPU, we also get 8 GB of RAM for running various apps and programs at the same time without any lag or noticeable dip in performance. The storage includes a 256 GB SSD which is roomy enough for large applications to sit in it and at the same time offer faster file access, shorter boot time and program loading time. The display is a 14 inch Full HD display at 1920 by 1080 resolution, wide viewing angles and accurate color reproduction. This beautiful panel is powered by Nvidia 940MX with 2 GB of RAM which offers a decent experience for casual 1080p gaming at low to medium settings. Being a 14 inch model it doesn’t offer a numeric keypad but the keyboard itself is quite feature packed, with fingerprint scanner, ergonomic touchpad with effective palm rejection and a thumb tack to move the cursor around without the need to move your hands towards a mouse or the touchpad. This is truly meant for professionals with demanding workloads who want reliable hardware. The black laptop chassis has silver finish on the lid. It weighs only 4.1 pounds and is 0.9 inches thick with battery life time of up to 9 hours. The connectivity options include 2 USB 3.0 ports, 1 USB 2.0, an HDMI port, SD card slot and audio input output combo jack. The wireless include 802.11 ac and Bluetooth v4.1. 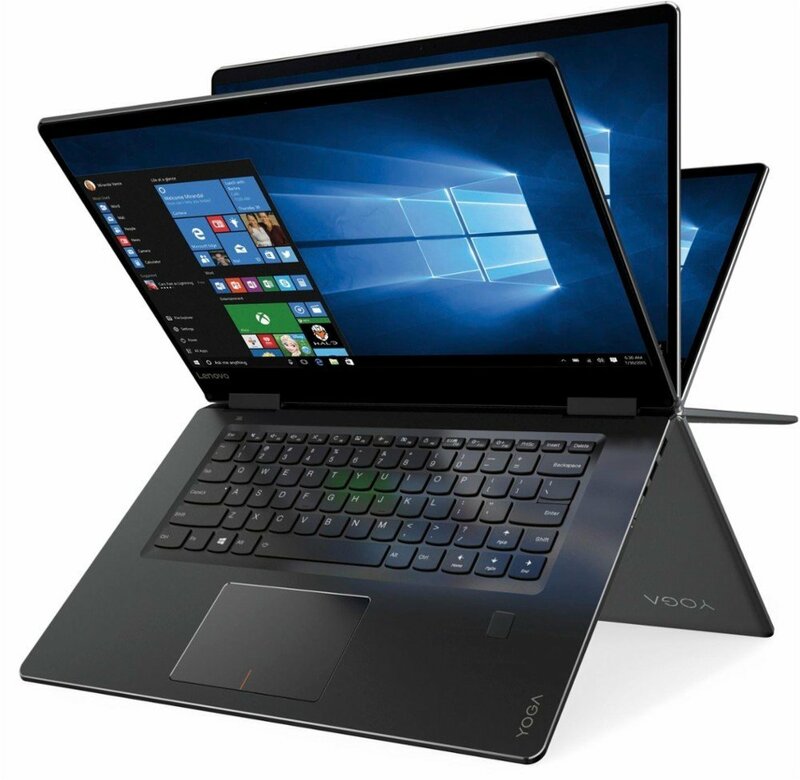 Yet another Lenovo on our list is the Yoga 710 which is about $230 dollars cheaper than the Edge E470 and is attractive to professionals and business personnel for different reason. This sleek and shiny laptop comes with a 7th Gen Intel Core i5-7200U clocked at 2.5 GHz with 3M cache and turbo boost up to 3.10 GHz. It is a 2-cores 4-threads part with a decent single and multi-core performance with a very efficient power management system. This helps keep the weight of the device less with small battery and still long battery life. The display is a sharp 15.6 inch display with a standard 1920 by 1080 resolution. It supports 10-point multi-touch and the hinge offers a complete 360 degree swivel. This along with Windows 10 tablet mode can allow business presentations and file edits be done in a much more interactive and fun way. Especially useful while sketching graphs and interactive sessions where you need the human touch instead of boring Times New Roman text. It also has a finger-print reader so you can secure your files, without remembering any passwords, and be sure that no one else in the office is snooping around it. The metal chassis has a dull grey finish and nice granular texture to it so it won’t accumulate dirt over years of use. The device weighs 4.45 pounds and it is only 0.7 inch thick with battery life as long as 8 hours. Perfect for you to carry around and work with for an entire day. 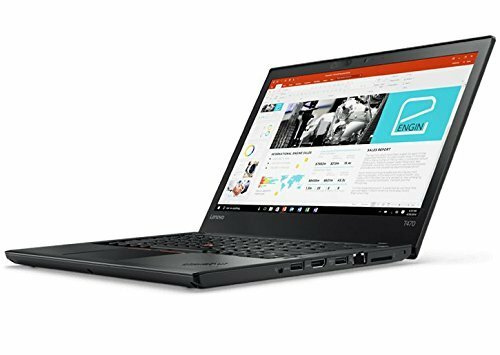 Like its smaller brother E470 that we saw earlier, this 14 inch laptop from Lenovo offers high-end specs, attention to detail and a design specifically tailored for professional and their demanding needs. 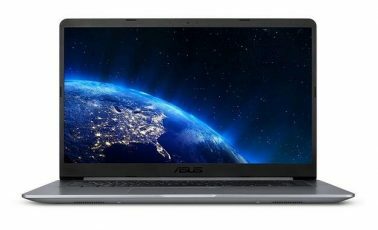 It is priced at $1140 and occupies the upper echelon of the business grade laptops for a good reason. The CPU inside is an i5-7500U from Intel’s 7th gen line-up of processors clocked at 2.70 GHz which can turbo up to 3.5 GHz. This processor has featured in a number of other laptops above, including the ThinkPad E470, it has 2-core/4-threads with 4MB of L3 cache and offers a good performance for both single and multi-threaded workloads with a very power efficient architecture and a well. However, given the price point, one would have expected a slightly better processor in its stead. Like the 7300HQ or better. The memory is again a standard 8GB in size enough for beefy multitasking workloads especially for all the office suites and browser tabs that you may want to simultaneously work on. Next is the persistent storage for which we get a fast 240 GB solid state drive, which is large enough to snuggly fit all the applications and files you may want to store locally. The display is a standard 1920 by 1080 resolution IPS panel and for 14 inch size offers decently sharp images. With keyboard you get all this things you know and love about the ThinkPad series, the finger tack for moving your cursors, sensitive and yet smart touchpad with excellent palm rejection and lastly an ergonomic keyboard to provide comfort over long hours of work. It is also spill resistant going with the entire theme of robust and rugged performance laptop. For connectivity you get RJ-45 port, an HDMI out, one USB 3.1 Gen-2 Type-C, USB 3.1 gen 1 and a USB 3.0 along with 802.11 ac Wi-Fi .It weighs only 3.65 pounds which is extremely light. It is only 0.8 inches thick. Pushing the limits of what a 13 inch device can offer, we have Dell XPS next up on this list which is priced at $1088 and offers a powerful and responsive computing experience in an ultra-small and portable form factor. 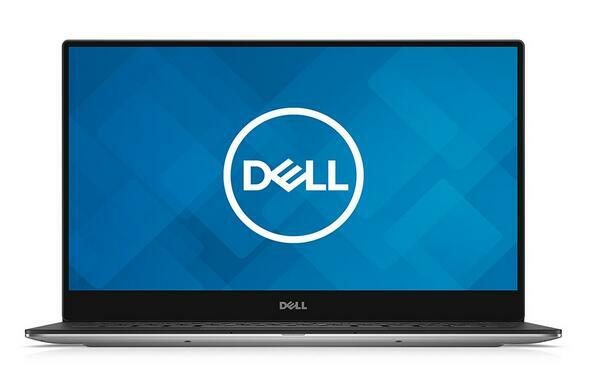 XPS is truly the pinnacle of Dell’s engineering efforts over the years and it’s time for you to let it make your professional life easier and hassle-free. For CPU we see yet again the 7th gen i5-7200U clocked at 2.70 GHz which can turbo up to 3.5 GHz with 3 M of cache and 2-cores/4-threads architecture. This is unsurprising not because of the price of the processor or anything but simply because none of the competitors dare to use a better processor for that increases power consumption and hurts battery-life. However, this is a decently powerful processor that can get the job done. With it you get 8GB of DDR4 RAM and 256 GB of solid state PCIe storage. The performance is pretty much unhindered and you can say goodbye to all the glitches and slowdowns that ruined your presentations or work-flow previously. The build itself looks marvelously crafted with simple and sleek design, thin bezels and a weight of only 2.7 pounds! Lightest of all the laptops we have seen so far but an equally well performer. It is only 0.6 inches thick and up to 13 hours of screen-on time on a single battery charge. Dell has really out-done themselves on this one. The next and possibly the most stunning detail of the laptop is its QHD display. That’s right, a 13 inch 3200 by 1800 resolution panel that works great for both office uses and content creation. This beautiful design will simply let you have no excuses to shy away from work anymore. The connectivity options are pretty modern as well. They include 2 USB 3.0 port, one Type-C connector, 802.11 ac Wi-Fi and a micro SD card slot. Doesn’t matter if you are a top executive or work on the arts and design department or if you are a geeky coder who likes to have complete control over his/her system. MacBook pro is designed to work for each and every one. It is impossible not to love this marvelously engineered piece of art. Priced at a staggering $1790 it is well worth the last dollar. The CPU is Intel 7th gen Core-i5 clocked at 3.1 GHz with turbo-boost of up to 3.5 GHz with 2-cores/4-threads and 8 GB of LPDDR3 memory. Along with it you get 256 GB of PCIe SSD which is faster than a traditional SATA SSD and has been used in apple laptops since quite a few years. Of course, the beauty of MacBooks come from their own operating system and the software suite that surrounds it. 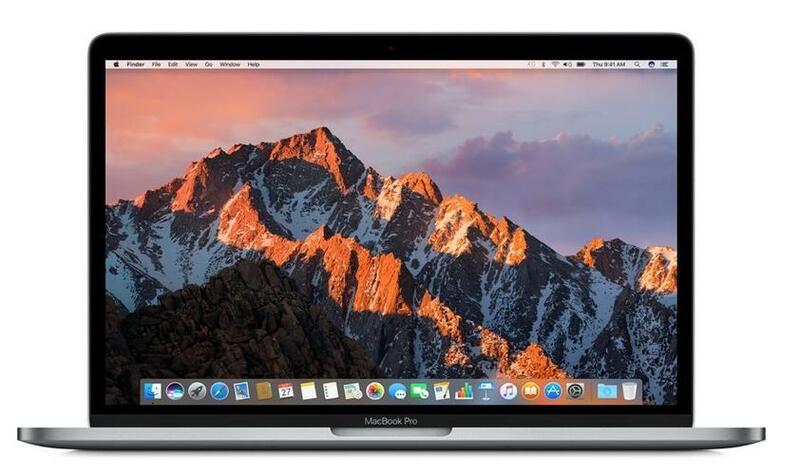 Unlike other manufactures, Apple makes sure that the software integrates perfectly with the hardware and the MacOS high Sierra offers a user-experience that can hardly be imagined on any other platform. Next is the hardware itself, we see a well-engineered display, the famous retina display which has the native resolution of 2560 by 1600 pixels and spans a 13 inch panel which is bright, accurate in its color reproduction, warm to the eyes and still highly reliable for content creation purposes. 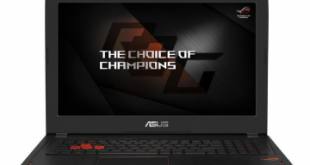 It is powered by Intel Iris graphics and can support up to 5120 by 2880 resolution at 60 Hz. This coupled with the touchbar which is yet another innovation unique to the MacBooks make any content creators life super easy. Just slide your finger on the bar and you can scroll through your raw footage as you edit it. Or you may just set up shortcut keys for easy access as you see fit. The metal aluminum body has a premium space grey finish. You also get another option of silver for the color. Touchpad is a large glass panel with sophisticated 3D touch and haptic response built into it. Battery life is not sub-par either, with upto 10 hours of iTunes playback at a single charge. Connectivity options include 4 USB Type-C connectors over Thunderbolt, 802.11 ac Wi-Fi and 3.5mm audio jack. 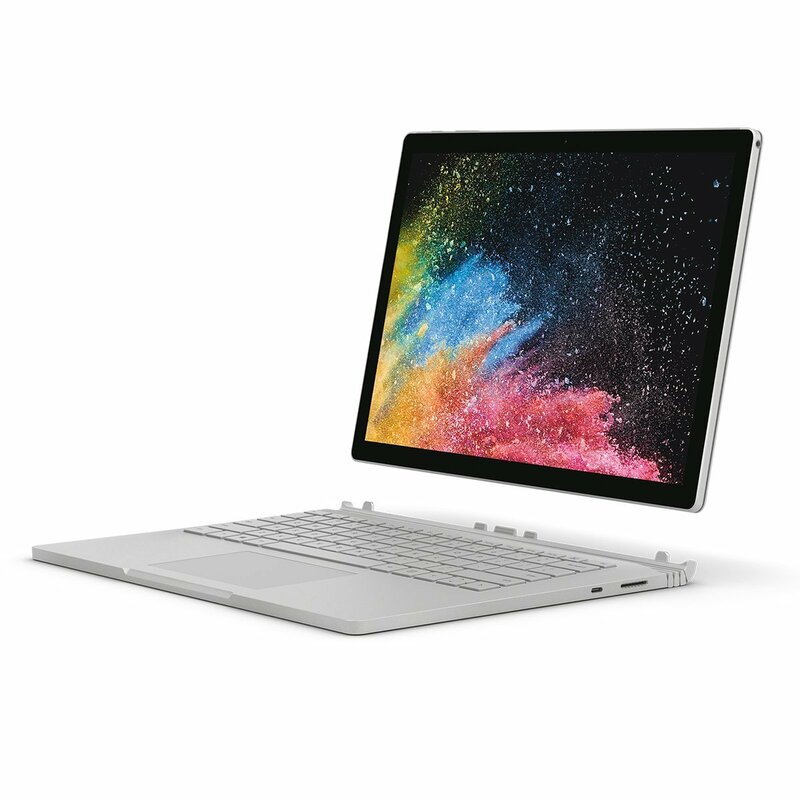 Priced at $1440 on Amazon, the Surface Book 2 is Microsoft’s entry the PC hardware market and its answer to the innovations that Apple has accomplished so far. It is a 13 inch model with powerful specs, attention to detail, portability and a certain affinity amongst the creative professionals. It has a dual-core i5 clocked at 3.50 GHz is at the heart of Surface Book 2’s performance. This is complemented by 8 GB of RAM for memory and 256 GB of PCIe storage. All in all, these basic specs can confirm that you will never have a performance issue for the life of the product. The build itself is very unique. It has a detachable screen so it can act as a laptop and a tablet too. The keyboard carries additional battery power and with it, you get the life-longevity of an insane 17 hours of claimed playback time. There are a tonne of accessories that Microsoft sells separately like the puck and Surface pen. Given the price point one would have expected it to come included with the device. The device chassis itself is made of custom alloy of magnesium to help keep the device thin and light, as well as strong. It weighs 3.4 pounds and is only 0.9 inches thick with the keyboard attached. The display has a sharp resolution of 3000 by 2000 spanning 13.5 inches of screen real-estate. The keyboard has a nice feel to it and is ergonomic enough for long hours of use. The graphics is powered by Intel Integrated HD 620 graphics. Being a tablet, it comes with a rear camera of 8 MP along with the typical front-facing web cam. Lastly the connectivity options available on this sleek device are 2 USB 3.0 port (one type-C), 1 USB 2.0 port, wireless 802.11 abg and a micro SD slot. For business laptops, depending on your budget you can get as premium or as budget-oriented product as you may want like. The thing to look for the most is not CPU or performance related specs but the ergonomics and the portability options that you would eventually end up requiring. Most modern hardware is powerful enough for word processing and answering email. Decision should solely depend upon the engineering that goes beyond raw performance and focuses on what the user may expect from the device. Next You can hide your browsing data from your ISP. Here’s how.